eBook: How Can My Company Improve Employee Engagement? In this eBook, we will take an in-depth look at all the elements that influence employee engagement. Most business leaders know that employee engagement is important to success, but they don't know what steps to take to improve engagement. 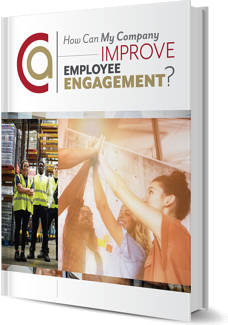 We created our eBook, How Can My Company Improve Employee Engagement?, to give executives and Directors of Human Resources actionable strategies they can use to raise employee engagement! Download our eBook now to receive proven, actionable steps you can use to create a Culture of Engagement at your organization today.